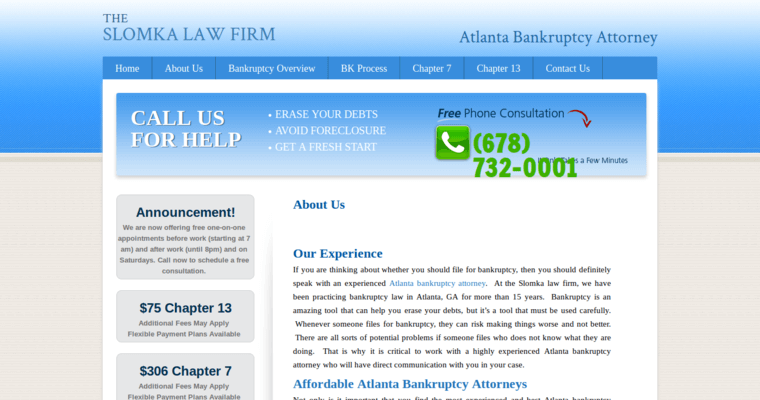 The Slomka Law Firm, located in Atlanta, is a Chapter 7 Debt Negotiator. 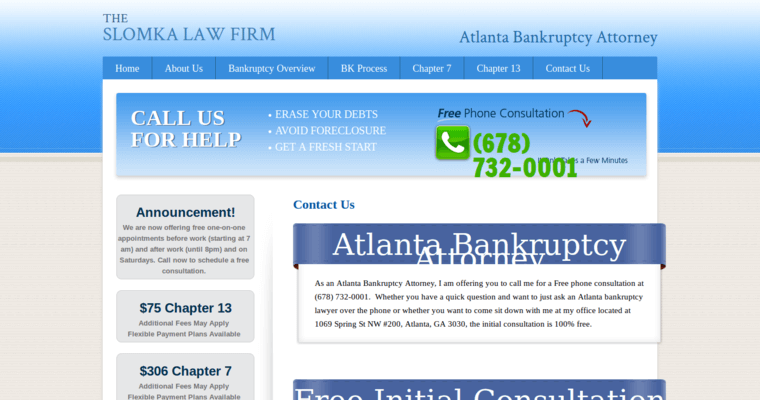 The goal of this excellent debt negotiator is to help people understand the entire bankruptcy process. Their focus is on attaining the best possible outcome for their clients, communicating with them frequently throughout the process and negotiating the best possible outcomes from all of their debtors. They hope to help eliminate debt while saving vital items like the family home and the car that's used to travel to and from work every day. Even better, they'll put an end to wage garnishment and creditors who never stop calling, even though it's clear that the money simply isn't there for them to collect. Filing for bankruptcy is a complicated and often stressful process, but the Slomka Law Firm will walk with its clients every step of the way to create a resolution that simplifies their lives.